I'm not much of a sports fan, so it's always a bit bemusing to see parents indoctrinate their children at an early age to root for one team or the other. 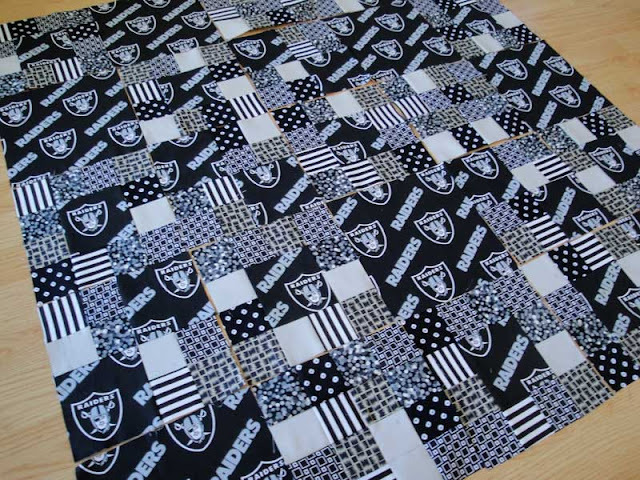 However, never one to pass up an opportunity to help someone give the perfect gift, I've begun piecing this baby quilt for a budding Raiders fan. 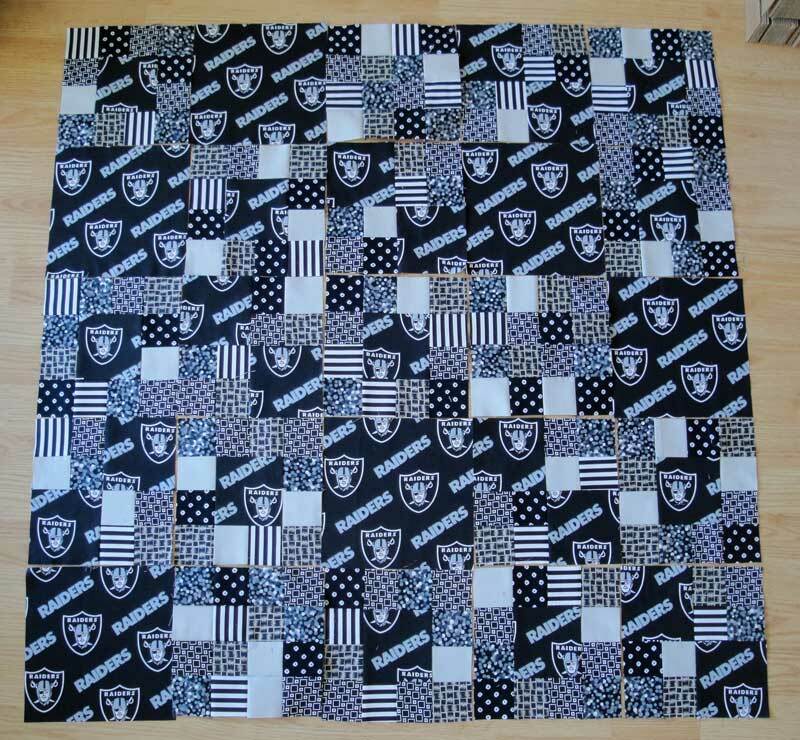 My cousin asked me to make a baby quilt for a friend's newborn. Can't say no to family. Having access to some licensed fabric was a big help. This quilt is made up of 4 types of blocks sort of randomly laid out. 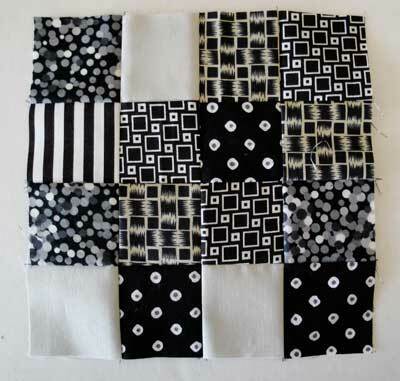 The quilt is relentlessly dark and not my usual color palette. 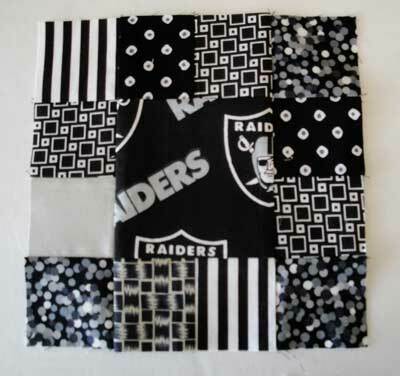 Originally, I thought of sashing the blocks in white, but I think virginal white doesn't go with Raiders Nation. 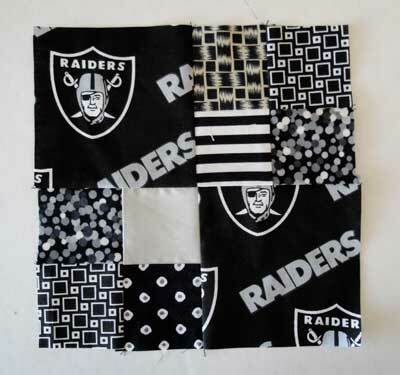 block 3: the large squares are 4.5" and the smaller ones 2.5"
block 4 is an 8.5" square of the team fabric. Once pieced, the quilt measures 40" by 47". A decent size for taking to the stadium.